For Alain Badiou, films think, and it is the task of the philosopher to transcribe that thinking. What is the subject to which the film gives expressive form? 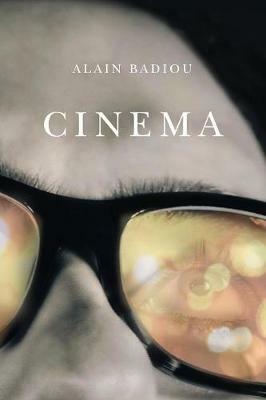 This is the question that lies at the heart of Badiou's account of cinema. He contends that cinema is an art form that bears witness to the Other and renders human presence visible, thus testifying to the universal value of human existence and human freedom. Through the experience of viewing, the movement of thought that constitutes the film is passed on to the viewer, who thereby encounters an aspect of the world and its exaltation and vitality as well as its difficulty and complexity. Cinema is an impure art cannibalizing its times, the other arts, and people - a major art precisely because it is the locus of the indiscernibility between art and non-art. It is this, argues Badiou, that makes cinema the social and political art par excellence, the best indicator of our civilization, in the way that Greek tragedy, the coming-of-age novel and the operetta were in their respective eras.